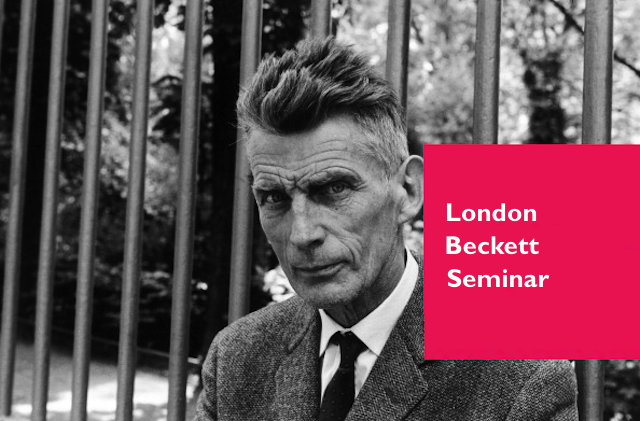 The London Beckett Seminar at the Institute of English Studies will bring together national and international scholars, researchers and postgraduates to discuss issues arising from the prose, theatre and poetry of Samuel Beckett that pertain to aspects of literary, philosophical and historical analysis with particular attention to translation studies, performance and practice, digital humanities and visual cultures. Inherently interdisciplinary in approach, the seminar will establish a vibrant research network for postgraduate students, early-career researchers, and established academics on a national and international level. Stefano Rosignoli holds degrees in Modern Literature and Publishing, and is a PhD candidate at Trinity College, Dublin. His current research project focuses on a comparative textual analysis of the ethics of James Joyce and Samuel Beckett. Together with Mark Byron, he has edited a dossier on Beckett and the Middle Ages for inclusion in a celebratory issue marking the 40th anniversary of the Journal of Beckett Studies (25.1). He has also contributed to a collection of essays on Beckett and BBC Radio, to be published by Palgrave in 2016. He can be contacted at rosignos@tcd.ie. Reblogged this on The Samuel Beckett Society.